Our Aerosol Truck Bed Coating is a specialty product that may be the sleeper new product hit of 2015. Detailers will use it to spray a fresh, durable skim coat on existing faded truck bed coatings Premium blend of cleaners, waxes and polymers that will enable you to polish and protect in one quick and convenient step. Use with confidence!! Our gel lube lubricant is for all metal to metal applications. Penetrates and lubricates hard to reach areas. Loosens rusted or corroded parts. Also lubricates and protects moving parts. Use undercoat aerosol to spray a black, textured undercoat on your vehicle to protect it from moisture, salt and gravel. Citrus-based high performance carpet spot remover.Unique upside down stream spray blasts away stains of all kinds. Our fabric protector protects fabric from water and oily, greasy spills. Specially formulated adhesion promoter for carpet film. Creates a removable coating that allows the adhesive on the back of Carpet Mask to create a stronger bond with carpet. 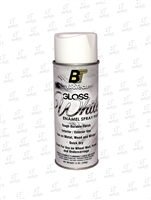 Is a blend of next generation cleaner and polymers.This gloss enhancer is the perfect choice of putting quick shine on showroom cars, new car deliveries, and details that are ready to go out the door. 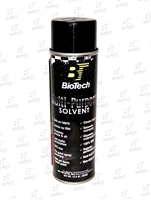 Great for use on Wheel Well, Frame, and Undercarriage BioTech Multi-purpose Solvent is specially formulated using Virgin Solvents. This product will not leave behind an oily film or stain fabric. 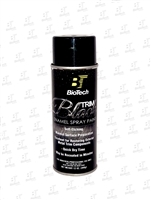 This Versatile formulation can be used in Body Shops, Prep Dept. and Service and Parts departments. Powerful odor destroyer combats smoke and fire odors, skunk and animal smells, mustiness... any annoying odor regardless of source.. Powerful odor destroyer combats smoke and fire odors, skunk and animal smells, mustiness... any annoying odor regardless of source. Powerful odor destroyer combats smoke and fire odors, skunk and animal smells, mustiness... any annoying odor regardless of source. Powerful odor destroyer combats smoke and fire odors, skunk and animal smells, mustiness... any annoying odor regardless of source. Powerful odor destroyer combats smoke and fire odors, skunk and animal smells, mustiness... any annoying odor regardless of source. Powerful odor destroyer combats smoke and fire odors, skunk and animal smells, mustiness... any annoying odor regardless of source. Powerful odor destroyer combats smoke and fire odors, skunk and animal smells, mustiness... any annoying odor regardless of source. Powerful odor destroyer combats smoke and fire odors, skunk and animal smells, mustiness... any annoying odor regardless of source. Powerful odor destroyer combats smoke and fire odors, skunk and animal smells, mustiness... any annoying odor regardless of source. Provides an excellent alternative to high gloss dressings. Spray on dashboards, air vents, consoles, door and trunk seals to create a clean semi-gloss new look. Our Tire Shine Aerosol has been specially formulated to create a superior shine to tires, adding a sparkling final touch to your car in just minutes. Orange Pop citrus degreaser contains natural citrus extracts. Is strong enough to tackle even the heaviest degreasing tasks. Premium paint that covers easily to provide a tough, durable, heat resistant finish. Used for wheel wells and undercarriages. Can also be used on most types of metal and wood. 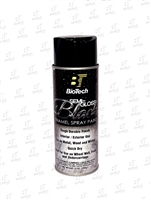 Hi-Tech paints are specially formulated to dry quickly and smoothly. Aerosol can net weight 12 oz. Excellent on any auto interior fabric. Its dry foaming action enables the professional to lift out dirt and stains from carpet.